EXCITING NEWS @ Anise Catering! Anise Catering – The proud caterer of Osterley Park and House. 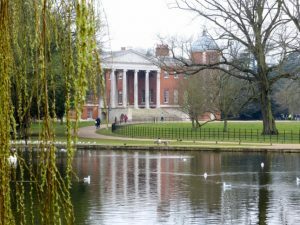 Anise Catering are very proud to announce that we are to begin supplying wedding catering to the beautiful and historic Osterley Park. Osterley Park is a National Trust property and have recently made the decision to hold a precious number of weddings at their stunning venue. They currently hold extremely popular events such as Egg Hunts, Dinosaur Exhibitions, Open Air Theatre and Park Runs as well as opening their grounds and garden for venue walks and tours. 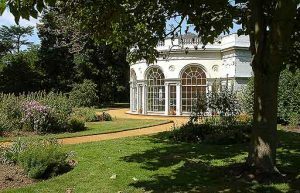 The weddings will take place in the grounds of Osterley Park with a bespoke and stunning marquee. 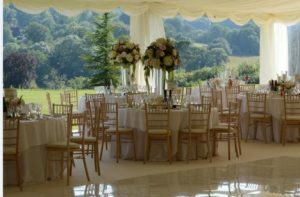 Anise catering as their preferred supplier will offer a fully event managed service to include wedding catering from three course delectable meals to scrumptious BBQs and Hog Roast. Originally built before 1576 for the merchant Sir Thomas Gresham, Osterley Park was bought by the banker Francis Child in 1711 and was remodelled for his grandson Robert in 1763-80 by Robert Adam. The entrance to this red-brick U-shaped mansion is dominated by Adam’s double portico that links the 2 wings, an idea derived from the Portico of Octavia in Rome. Upon his return from Italy in 1758, Adams had become the most fashionable architect in England. His Neo-classicist impulse is apparent inside the entrance hall, where the grey and white colour scheme, coupled with the Roman statues in the coffered apses, creates an austere beauty. The mid-Georgian craze for Greek ceramics is apparent in the ‘Etruscan’ dressing room where motifs from Greek pottery adorn the walls. The house is the principal ornament in the 142-acre flat parkland, where there is also a semi-circular garden house designed by Adam and a Doric Temple of Pan.